Retail Store Insurance in Las Animas, Lamar & La Junta Colorado - First Insurance Services, Inc. Opening a retail store takes many hours of work and we want to you to be protected for your investment. First Insurance Services, Inc. offers many different options to protect your retail store operation in Colorado. Many retail stores have the same basic insurance needs whether your selling books, crafts or jewelry. We can evaluate your risk for damage and liability for your retail stores in and around Las Animas. Retail stores need insurance to protect themselves from damage that may occur to their inventory or accidents to your customers. 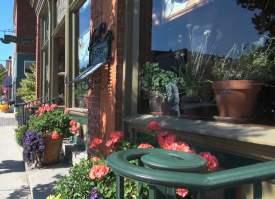 Contact us to find out more about retail store insurance in Las Animas, Colorado including the Fowler, Holly, Ordway, Rocky Ford, and Wiley areas.